Dark chocolate is not everyone’s first choice but it is most definitely mine considering dark chocolate health benefits. I love the taste of it and feel that I can appreciate the cocoa more than I can with regular milk chocolate. If I bake a birthday cake for one of my family members I feel that dark chocolate makes the most delicious icing and really is delicious for everyone. The fact is that dark chocolate doesn’t just taste great, it is actually healthy for you. As a diabetic that made a big difference for me. Here are 10 worthwhile benefits of dark chocolate. By eating dark chocolate you will find that your heart is healthier because dark chocolate restores flexibility to your arteries and prevents white blood cells from sticking to the walls of your blood vessels. That to me sounds like one of the best benefits of dark chocolate. It is scientifically proven that the benefits of chocolate include a staggering 17% reduction in your chances to get a stroke. Wow! It is a fact that dark chocolate is high in minerals which include potassium, sink and selenium. The health benefits of dark chocolate even include a huge amount of iron. By consuming dark chocolate you will experience a great benefit of cocoa which is bad cholesterol being lowered and good cholesterol being raised. This is one of the most important benefits of dark chocolate. As previously mentioned dark chocolate makes a fantastic frosting when melted and doesn’t contain as much sugar. This is by far one of the most delicious benefits of dark chocolate. Just melt a few bars to indulge in cocoa heaven. Once again this has scientifically been proven that one block of chocolate before meals send that positive message to the brain saying that I am full. This is one of the great dark chocolate benefits because by losing weight your health will improve. Imagine something as delicious as chocolate being added to your diet and actually helping you to lose weight. It is proven that cocoa helps prevent diabetes by improving insulin sensitivity which means that dark chocolate benefits include delaying the onset of diabetes. This is great and it is wonderful to know that by eating dark chocolate you won’t have to risk dealing with a spike in your sugar reading. I wish I had know this before I was diagnosed with Type 2 Diabetes, I would have had more dark chocolate. There are many types of brain food and dark chocolate is definitely one of them. There is an ingredient in dark chocolate that reduces memory loss and that aids in the healing process of brain injuries. This is a very important part of dark chocolate health benefits. Your brain is incredibly important and it makes for a great excuse to have another block of your favorite chocolate. It is also scientifically proven that dark chocolate health benefits includes reducing the stress that expectant mothers have to endure and as another important part of dark chocolate benefits it is really good for baby too. What a fantastic benefit seeing that during pregnancy stress is taboo and something no new mother wants to experience or that no unborn baby should experience. Mommies, have another bar of chocolate! 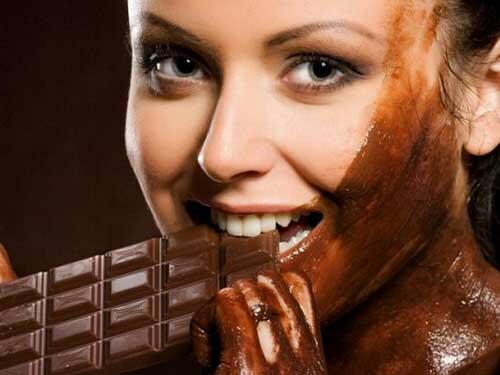 It is so fantastic to know that by consuming dark chocolate you are making yourself happy. This is also a scientific fact and it is 100% proven that dark chocolate health benefits includes the same ingredient and feeling that one experiences when falling in love. This is by far my favorite of the dark chocolate benefits list.